Samsung Galaxy S3 I9300 Charging Ways Solution Usb Jumper – USB – Many cases of charging problems on Samsung, from the charger connector disold corrosion exposed to water and many more. 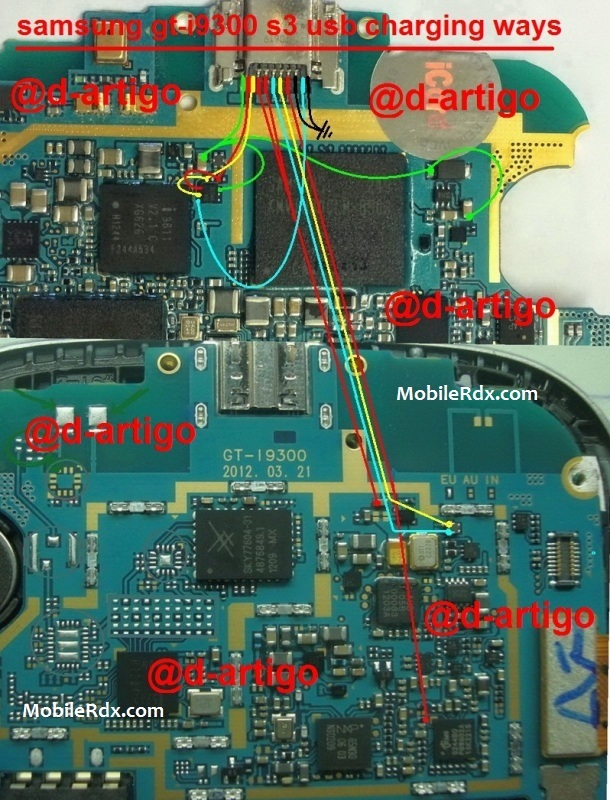 On this occasion we will discuss about the charging path for Samsung GT-I9300. So if you are experiencing any charging problem or problem connecting your Samsung Galaxy S3 I9300 Charging Ways Solution Usb Jumper to your computer via USB cable then it is possible that your Samsung Galaxy S3 GT-I9300 charging connector is faulty. Replacing it with a new one is the only solution here. But if by any chance the USB connector prints are broken then you have to make the jumpers as shown in the diagram below. The schema already contained in the full path USB charging Samsung Galaxy S3 I9300, and you just do jumpers track usb charging properly, so that you can get your android phone recharging as before, and you do not need recharging using other charging instrument . Samsung GT-I9300 Usb Not Working Problem, Usb Not Recognized,Usb Ways Jumper Solution.